Fujifilm announced the Fujifilm GFX at the 2016 Photokina trade show. This is the complete video of the Fujifilm press event, including details on the new medium format system, the lens roadmap and estimated street price. 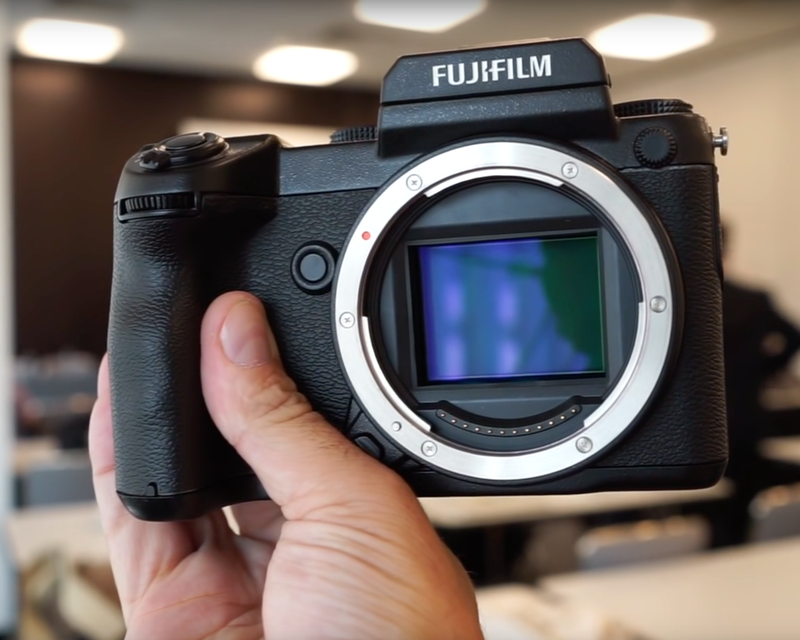 The Fujifilm GFX is a hotly anticipated camera, something that Fuji fans have been clamoring for since rumors of its development began several years ago. Fujifilm’s X-series of cameras were the first to put professional features into a compact APS-C mirrorless body. While Fujifilm has continued to dominate the APS-C professional market, companies like Sony have leapt ahead with full-frame mirrorless systems. By launching a full-frame system, Fujifilm effectively leapfrogs the competition, at least in terms of sensor size and the associated benefits with going to a larger sensor. In this video, Fujiflm executives announce the new system. Following that is our hands-on preview from an exclusive press conference at Photokina.